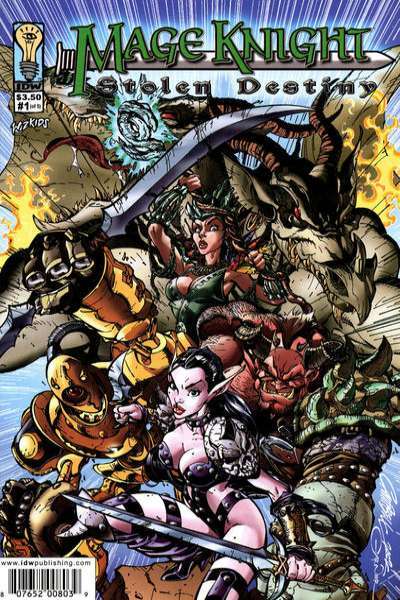 This was a 4 episode long web series comic from the old Mage Knight website. 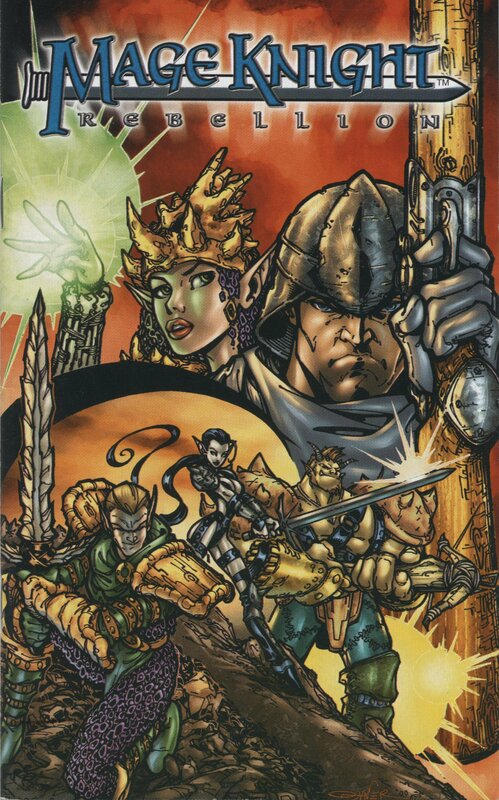 Comic insert from the Mage Knight: Rebellion Starter Set. 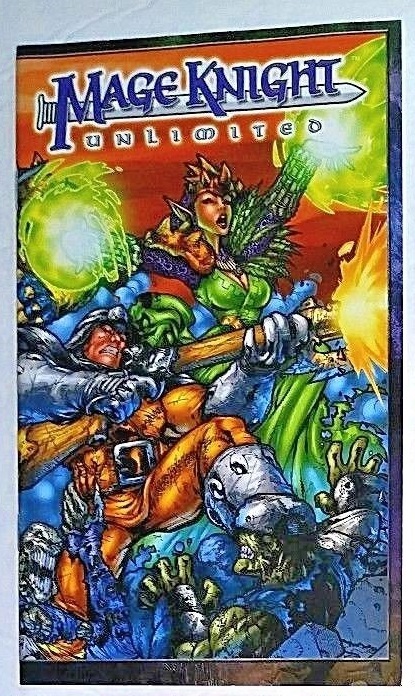 Comic insert from the Mage Knight: Unlimited Starter Set. As the three factions of magic battle for control of the Lands, prophecy reveals a possible champion who holds the power to unite kingdoms and tip the balance of power. But before the unwitting boy’s training is complete, he is abducted by forces far more mysterious than those he will one day unite! 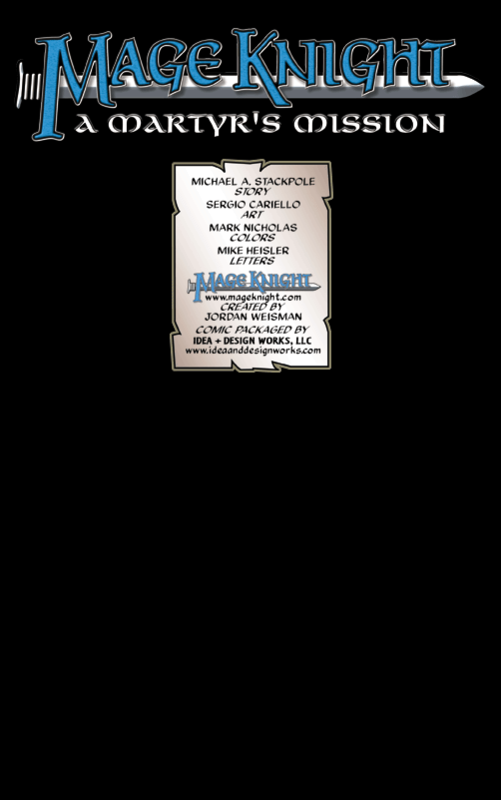 Every copy of Mage Knight Stolen Destiny #1 includes a coupon that can be redeemed for an exclusive, limited edition Mage Knight figure based on the comic book, Maren’Kar. The Land of Mage Knight continues to unfold as the young warrior Jason confronts his mysterious abductor, begging for answers that will be a long time coming… if at all! Thrust into a world of constant battle and continuous danger, he strives to keep up with his captor as they confront evil and corruption in all its many forms. Meanwhile, Skyros goes looking for his errant ward, believing Jason to have returned to the Black Powder Rebellion… but what he finds there is an even more horrible fate! 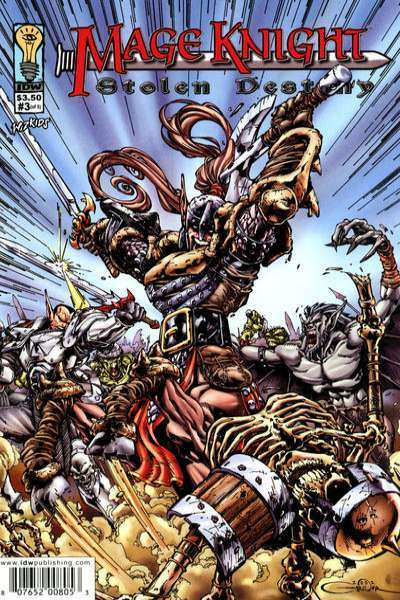 Magus Jadron Medaan continues to hurl his Atlantean forces at the quickly diminishing Black Powder Rebels, desperate to keep the armies of Rajidon and Jarl Frostriven apart; for, in their unity, they would surely destroy him! Meanwhile, Kerraii and Jason must battle a horde of evil Mage Spawn as they attempt to rendezvous with Frostriven’s band of warriors. More and more of the battle-scarred Land of Mage Knight is revealed as the story continues! Almost completely decimated by the newly-arrived Atlantean Forces, the Black Powder Rebels try desperately to fall back. 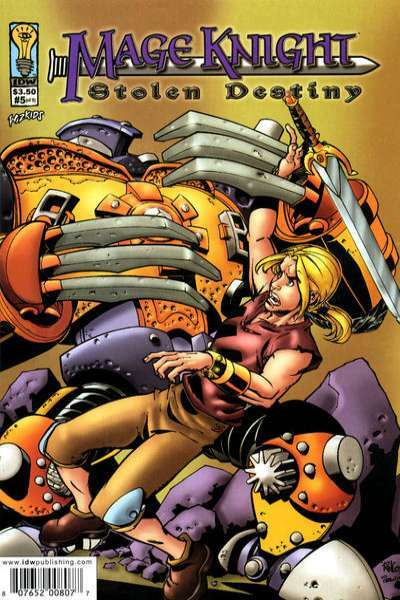 Unfortunately, the Atlanteans have them on the run and it looks like they’re not going to let up! As the troops regroup, Jason and Kerraii are off on a more secretive mission, infiltrating the Atlantean Stronghold to free the one person who can help them win the Battle! As the Atlantean Forces continue to pummel the Black Powder Rebels into oblivion, Kerraii and Jason meet with some deadly opposition in the Atlantean Stronghold! Their target is in sight, but will they be able to get out and back to the melee in time to actually help? And what of Skyros’s plan to change the course of this Battle, or the Stolen Destiny that Maren’Kar is so desperate to protect? Find out in the thrilling conclusion to Mage Knight: Stolen Destiny!